I've had my eyes/ears on Mecca:83 for a while now and I'm happy we finally get to feature this talented beat-maker from Manchester. 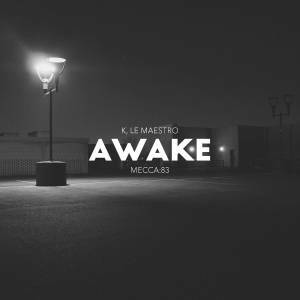 Evan teamed up with another fresh find - mr. K, Le Maestro and the 2 crafted a dope, minimal beat titled "Awake". I seriously love that chopped vocal sample the guys used. That, and the gentle piano lurking around the beat are just perfection!